Those of you who are into running emulators on iOS devices and are familiar with the GBA4iOS emulator would probably be familiar with the drama behind this popular emulator’s availability. Every now and then the tool gets released for stock iOS before getting blocked by Apple. Now it looks like the developers behind this popular gaming tool are not done yet, as they have yet again released GBA4iOS with full support for iOS 9. In addition to iOS 9 the emulator also works on iOS 8 devices. Follow the instructions below to learn how to install GBA4iOS emulator on non-jailbroken iOS 9 devices. From here onwards proceed at your own risk. First of all open this url on your iOS device. Now hit the GBA4iOS 2.1 button and then tap on ‘Install‘. Next tap on the ‘Install GBA4iOS‘ button. After a few seconds you will see the GBA4iOS icon on the homescreen, however you will not be able to open it just yet. Instead you will get ‘Untrusted Enterprise Developer’ error. To solve this open Settings and then General > Profiles. One the Profiles page, tap on ‘qingdao zhangkong….‘ profile and from the next screen hit the ‘Trust “qingdao…‘ button. Hit ‘Trust’ button again and finally return to the homescreen. Now you should be able to launch the emulator from the homescreen icon. Enjoy! In order to add games to the emulator, open Safari and search for any site that offers ROMs for your favorite games. 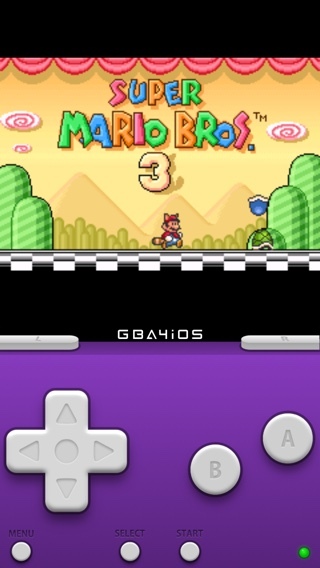 Download the ROM and open in ‘GBA4iOS’ app. For copyright reasons we cannot link to sites offering such downloads. Note: Apple can block the certificates GBA4iOS’s developers are using, at which point this method will stop working. If you want to install this emulator on your device, then do it now before its too late. If it has already stopped working, then let us know in the comments section below.